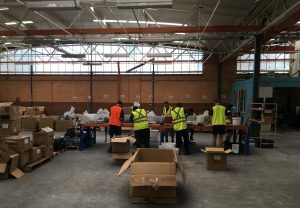 Julie McKay is the founder and managing director of Enable Social Enterprises, an innovative not-for-profit organisation that seeks to break unemployment cycles in Melbourne’s northern suburbs. She is this week’s Changemaker. McKay has more than 30 years generalist management and executive experience in manufacturing, consulting, wholesale, retail, not-for-profit, federal and state government sectors, including at Scope and Mission Australia. She founded Enable Social Enterprises in 2013, to provide disadvantaged jobseekers with real work experience through supportive work and learning programs. In 2014, Enable launched In The Click, an “eBay store with a difference”, which sells items online and uses all the profits to tackle social and economic disadvantage in the local community. 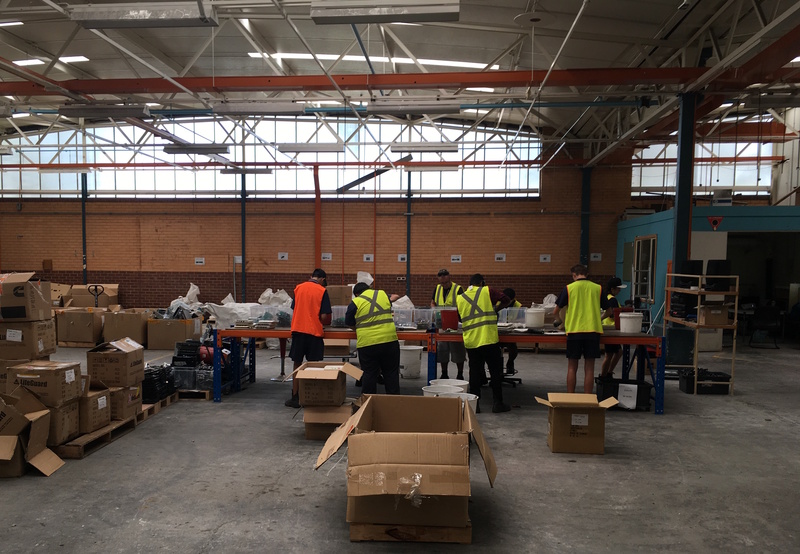 The organisation also launched an IT equipment recycling service last year, Enable IT Recycling, which provides work skills for local disadvantaged jobseekers while also helping to address the growing e-waste problem in Australia. In just over a year, the enterprise has prevented almost 60 tonnes of electronic equipment from going to landfill. Enable Social Enterprises were also recently recognised by the Victorian premier, as finalists in the environmental justice and community categories of the 2017 Premier’s Sustainability Awards. 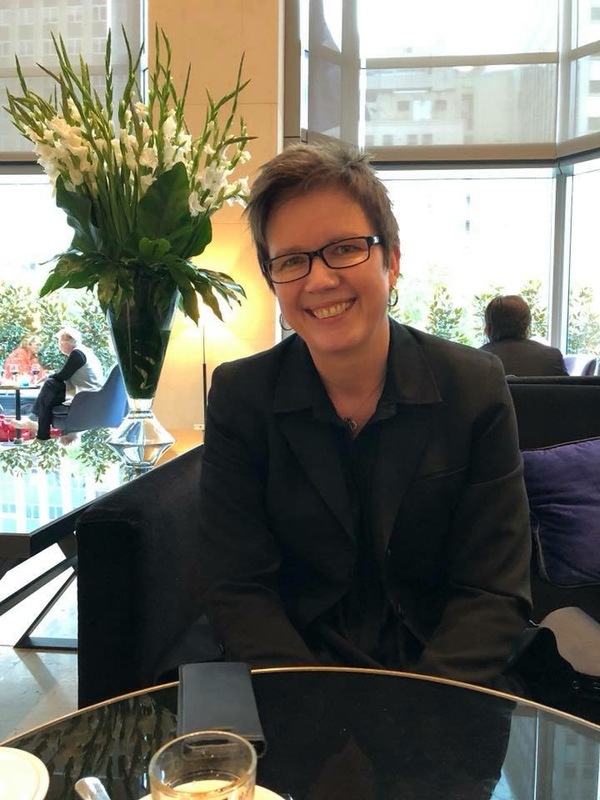 In this week’s Changemaker, McKay talks about her diverse industry experience, why she founded Enable, and what the future holds for the organisation. Can you tell me about your career before founding Enable? I’ve had well over a decade in the Australian disability enterprise and social enterprise sectors. I’ve had experience in federal government, state government, the steel industry, the consulting industry and a whole raft of other jobs in different industries. And then that led me to the not-for-profit sector and into Enable. So a reasonable combination of work for government, not for profits and commercial [businesses]. It is probably an equal mix or all of these, which lends a hand to the social enterprise space quite well. So what attracted you to work in the not-for-profit sector? Look I think with different times in your life, it was just there at exactly the right time in my career. And I’ve never left. So it found me and I’ve been loyal. It’s like a loyal long-time friend. Why did you decide to form Enable Social Enterprises and what does your organisation do? I’m more in that business development innovation mindset with the social enterprise space, and having worked with the traditional models like the Australian disability enterprise model and some work with Mission Australia on the social enterprise model, I just thought it’s good timing in Australia to pilot some different models. So our sort of space in this whole social enterprise movement in Australia is in and around employability, and that can include a number of different things around training and education outcomes plus work experience outcomes, but jobs are the end game. So I started off Enable to trial and pilot a couple of different models and we’re still here. So that’s probably a good sign. We started in 2013 and spent a significant time looking at our entity structure, our governance, if we wanted to be a for profit or not for profit… So I spent a lot of time working out who we want to be and how I would like to do it. And then after we got our governance set up and our applications to the Australian charities commission, we pressed go on our enterprise strategy, with our first strategy being an online shop called In the Click, and then shortly after that we got into a larger scale business which was IT Recycling and that started in 2016. That has become our flagship now. How has the organisation grown since it was founded? Strategic direction has been quite prevalent with the board and we have given ourselves permission to innovate with new business models that deliver profit for purpose. We’ve been quite committed to finding industries where we believe there are jobs currently and also in the short term to mid term, to try and protect the people who we work with from experiencing barriers to work and then to reposition them in that market for jobs of their choice. And online retailing is still a large employer of individuals, so our [In the Click] enterprise seeks to run a commercial business exactly as an online business would run. And then the guys that are interacting with their programs can access other online businesses in the area. That’s the goal and it’s the same model for e-cycling, which is one of the fastest growing waste types in Australia. If it keeps growing at the rate that it’s growing, we would expect that it would be a big employer, and again this is by being in industries that are growing rather than declining. We’re repositioning the participants that we work with from disadvantaged backgrounds, so they can get jobs. So there is an absolute purpose and an absolute strategy to what we’re doing and why we’re doing it, and it’s all about the endgame of jobs for now and also jobs of the future. 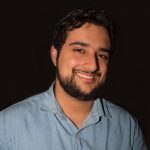 What are some of the short-term and long-term goals for the organisation? The short-term goals for us are definitely about expanding our IT Recycling enterprise. It’s been quite successful in the number of people we’ve been able to support in a very short period of time, because it’s scaled up a lot quicker than what we thought it would do. And that enabled us to have a greater level of social impact and I think probably fair to say in the short term that the best is yet to come. Longer term, we have a strategic planning session with the board later this month and the big question for us is “what else can we do?” So e-waste is one industry that potentially is going to be a big employer for us in the future, but there are other technological based industries and the sky’s the limit. It’s important for us as a social enterprise to listen to the rhythms of what’s going on around jobs, and in four or five years it can be completely different to the jobs that are here today. And we need to be able to respond to that. So that’s the longer term goal. It’s our job to listen to these rhythms and have social enterprises at the table, to facilitate those people who are experiencing barriers to work to get into those new jobs of the future. Oh goodness gracious. A typical day for me is a very busy day. I think this is because we’re sort of in early development, just sort of burgeoning on the growth side of our business cycle. I think the “woman of many hats” would be a fair description for me. My day is generally quite hectic and a fair bit in operations. Obviously I’m a member of the board as well, so I have a variety of commitments around strategic level, business level, operational level and I certainly do love getting my hands into the program level and interacting with our participants, because really what we do is all about them. So I like to make time to make sure that I’m on the frontline as well. It’s important to me and I actually love doing it. And how do you find time for yourself among all the busy things that you’re doing? Look clearly I do love my work. This is no doubt about that. Regarding a work-life balance, I do have a nice quiet time with food and wine and friends and music. My great love is the work that I do and the people that I do it for. Those other things are all part of that mix and it rounds off quite nicely. Do you have any favourite sayings or a guiding philosophy that guides you or your organisation? I don’t have a saying that comes to mind. But certainly my guiding philosophy is around treating others as you would like to be treated.